If you pay attention to its log line, you might assume THE TRANSFIGURATION is a love story about two quirky teens who geek out over genre fiction and vampire lore. It's not, not exclusively at least. It's much darker than its description alludes, disturbing really. While its two young characters, each cradling the margins of society, find one another in the midst of their own stigmatization, only one of them of them is overwhelmingly submerged in his own fantasy. Except, it's not a fantasy. It's a bloody, dangerous hobby that seems to serve as a band-aid for the fact that he's a young black boy living in the projects. (Or maybe that's just me projecting). 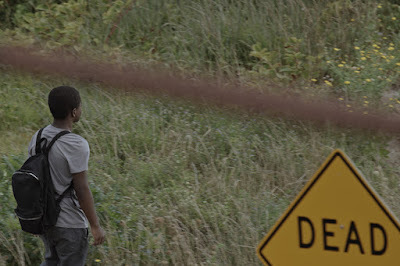 It is curious that writer/director Michael O'Shea decided to make a disadvantaged black teen a bloodsucker and then encourage the audience to determine which aspect is worst as they both carry the same amount of weight when it comes to his character and highlight the same level of doom. We see him at home with his older brother, desperately trying to avoid the neighborhood gang, just as much as we see him daydreaming about his next victim. But again, maybe that's just me reading too much into this. I'll set it up for you: Eric Ruffin stars as Milo, a teenage boy whose obsession over classic vampires like Nosferatu has led to a real-life habit of feasting off unsuspecting victims at random. Spending his days alone, anonymous, and scribbling in his sketchpad, while spending his nights as a bloodthirsty predator, is normal for him. But it's not until his tiny world is rocked when he meets Sophie (Chloe Levine) that he is forced to face the gravity of his deeds. Sophie, also a loner, immediately clings to sweet, taciturn Milo. But she soon discovers that his offbeat sensibilities mask his deeply troubling secret that she may or may not be able to handle. What's interesting about THE TRANSFIGURATION is precisely what makes it a perplexing watch. It's rare that we see a young character of color in genre fiction, especially in a lead role, an antihero at that. It's a complex role in which Ruffin astoundingly embodies. But it's aggravated when it's aligned with living in the hood, feeling ostracized, and compelled to protect the one white person who cares about him from himself. He's as much a villain as he is a misunderstood hero. Yet it becomes increasingly clear how little agency Milo has, and how distant O'Shea may be to what it means to be a quirky black kid, much less a quirky black young man from the projects—committing heinous crimes night after night. 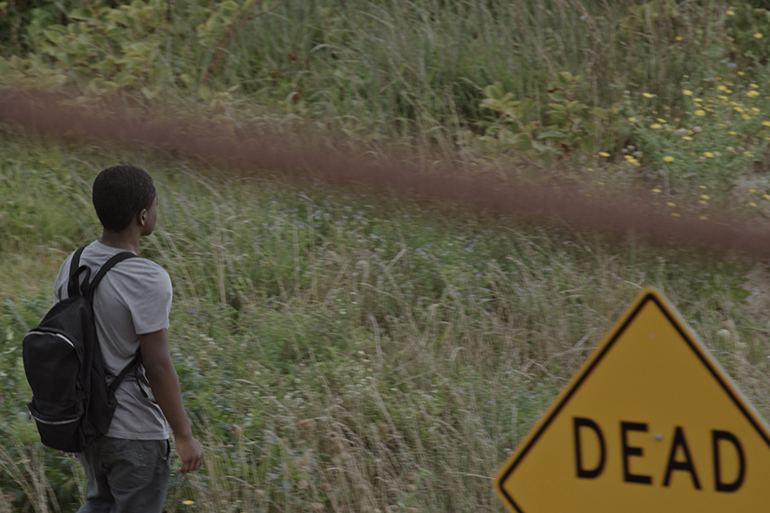 Still, THE TRANSFIGURATION is a movie that deserves to be experienced and discussed. It's as sensitive at it is brutal and extraordinarily sad. Yet it criminalizes its protagonist in a way that is most uncomfortable to watch. And in so doing, it makes you question your empathy and come to terms with your own privilege. I've never heard of this before. I may have to give it a shot, it does sound intriguing.